I must admit that this hara chana ghughni for breakfast is extremely healthy. This is one of the common breakfasts in parts of Uttar Pradesh and Bihar. 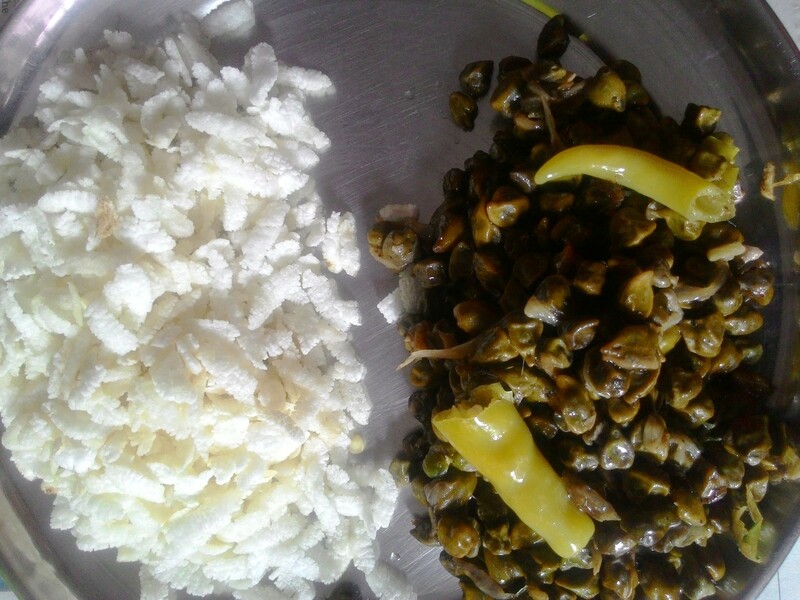 The main ingredient of hara chana ghugni is hara chana itself and onions. That’s it! Well hara chana, in some places, is known as hola or hole or hula or harbhara. 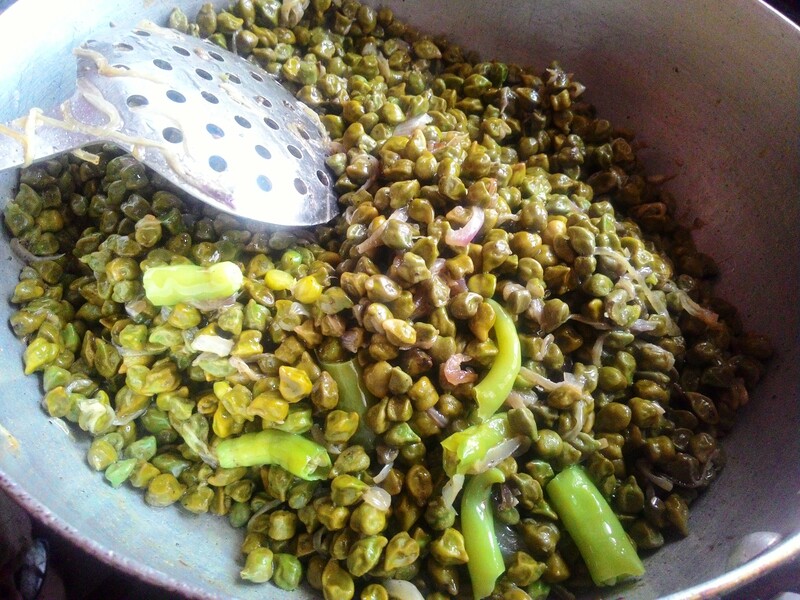 In English, hara chana is called as green chickpeas. So, now there’s no confusion in the name 🙂 . Hara chana is rich in Vitamins B9, A and C. It’s a good source of iron, magnesium and calcium; it’s good for your bones too! What are you waiting for? Go and buy hara chana from the nearby grocery store. We are going to make it in our breakfast today. Here is the recipe for Hara Chana Ghugni. This recipe also includes the side dish of fried flattened rice. This combination of hara chana and flattened rice will leave you drooling! Take a saute pan or a kadhai, pour the refined oil in it and keep on high flame. When the oil is hot, add onions in the kadhai. Fry the onions till they turn tender. Now add hara chana, salt and chillies. Mix well and close the kadhai with the lid. Let it cook for at least 8-10 minutes on low flame. Stir in between. Check if the chana is cooked or not. Now, open the lid of kadhai and stir again. Add kali mirch and mix well. You can adjust the taste of kali mirch. Take the kadhai off the flame and keep aside. We need to deep fry the poha so take a kadhai or pan for deep frying. Pour the oil in kadhai and heat it. Divide the portion of poha into half and deep fry it on high flame itself. Within 3 seconds of putting the poha in kadhai, take it out with the help of deep fry strainer. This way the poha remains crisp yet it doesn’t soak much of oil. Once done, add black salt and kali mirch powder and mix well. Serve both the dishes in a serving bowl and have this delicious combination.